Crawling from the wreckage of 30 Days of Night: Dead Space is this latest continuation of the 30 Days saga. 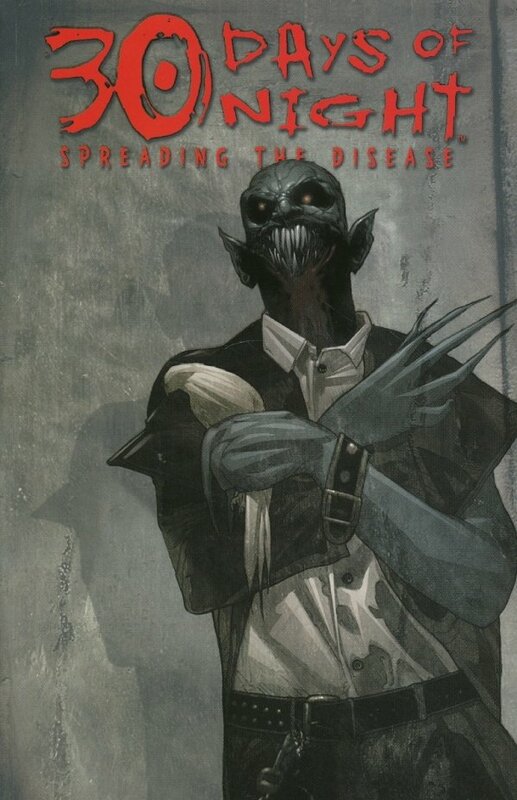 In "Spreading The Disease," Agent Michael Henson has all the evidence he needs to prove to the world that vampires exist... until the government takes it all away. 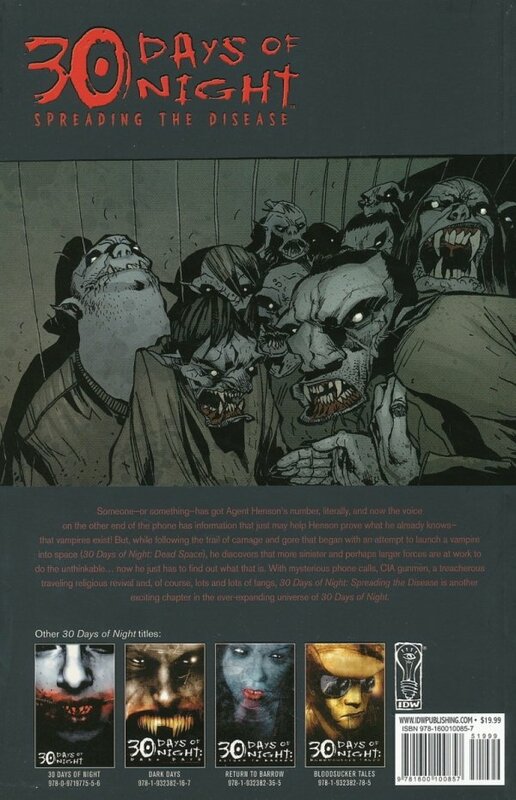 Now, urged on by a mysterious "friend," Henson must follow a path of carnage and gore in hopes of finding the answer to why anyone would want to put a vampire into space, with his only lead being to follow the fangs.